It's basically an iPhone 6s in a tiny 5s case. There's a lot of love out there for the tiny iPhone 5s -- Apple says it sold over 30 million of them last year -- but there's no doubt that its 2013-era hardware is getting rusty. 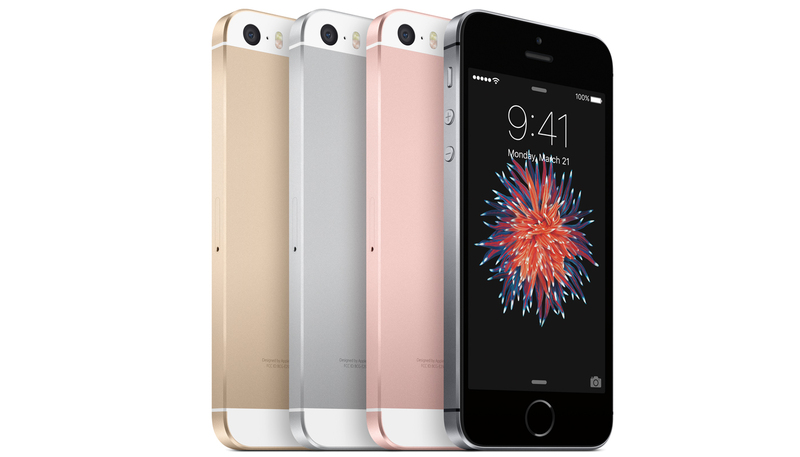 Enter the iPhone SE, Apple's first concerted effort at building a small phone in the age of big smartphones. 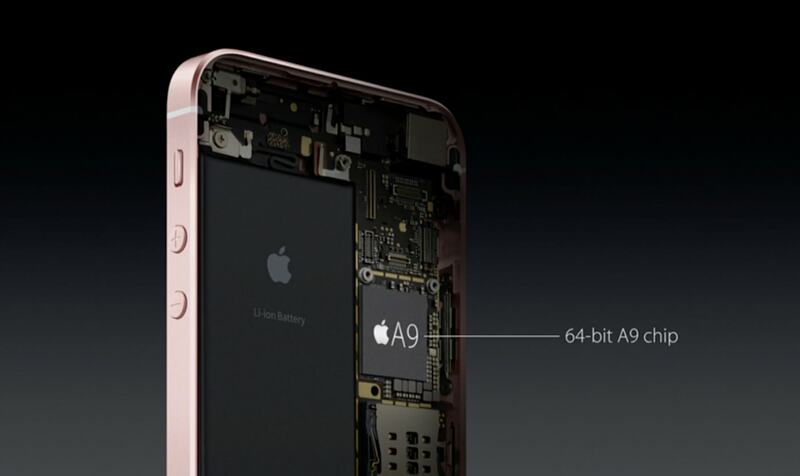 It looks pretty much the same as the iPhone 5s, but it packs in the more powerful A9 and M9 chips from Apple's current flagship, the iPhone 6s. There's also an upgraded 12-megapixel camera with Live Photos and 4K video, as well as Apple Pay support (the 5S had Touch ID, but lacked the secure hardware for Apple Pay). 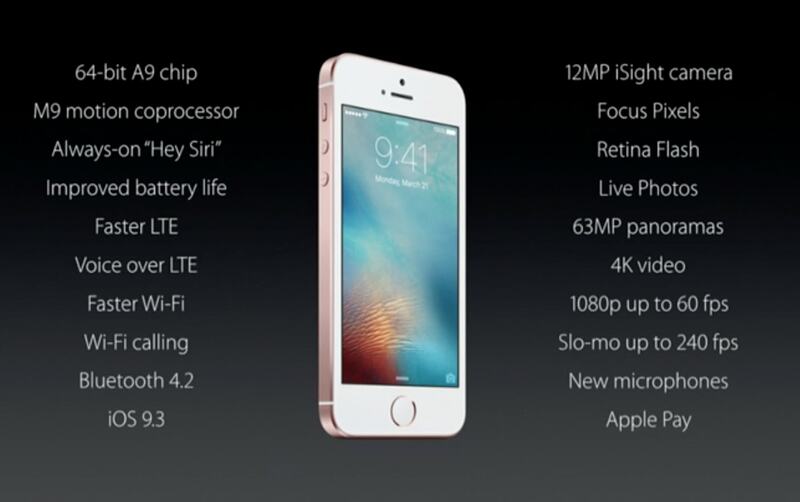 The iPhone SE starts at $399 (£359) for the 16GB model -- Apple's cheapest iPhone pricing ever -- and there's also a 64GB model for $499 (£439). With all of that additional hardware comes several other features from the 6s: a "Retina" front-facing flash; hands-free Siri commands; and support for faster LTE and 802.11 AC Wi-Fi speeds. Unfortunately, there's no 3D Touch support in the SE, but I'd imagine that hardware would be difficult to fit into such a tiny case (and Apple has to leave something exclusive to its top of the line phone). Apple says the iPhone SE's hardware upgrades make it twice as fast as the 5s when it comes to CPU performance, and its GPU speeds are three times faster. And while I'd worry about what all of that hardware would mean for battery life, Apple says it has "improved" battery performance compared to the 5s. The iPhone SE is particularly interesting because it marks the first time Apple has plugged in faster hardware into an older iPhone case design. Instead of just keeping older iPhones around to sell at a lower cost, Apple actually had to design and build an entirely new device. Its price is also intriguing, since it'll likely appeal to people who refuse to deal with cellphone contracts anymore.